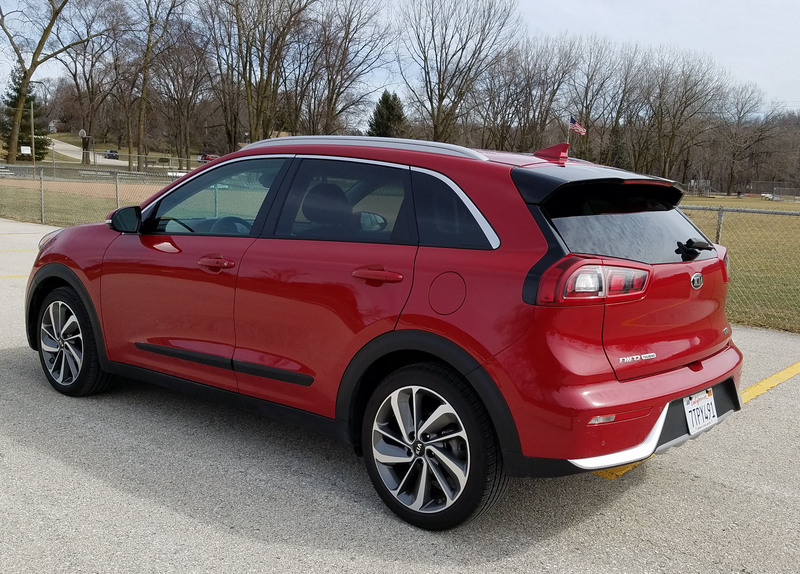 Roughly once a year a test car knocks my socks off, trips my trigger, simply surprises the heck out of me and this week’s Kia Niro Touring has me amazed. Looking at it you’ll say that’s no car, that’s a crossover vehicle. And that’s what Kia wants you to say. The styling is typical Kia wonderful with good looking nose, tail and beautifully proportioned profile. 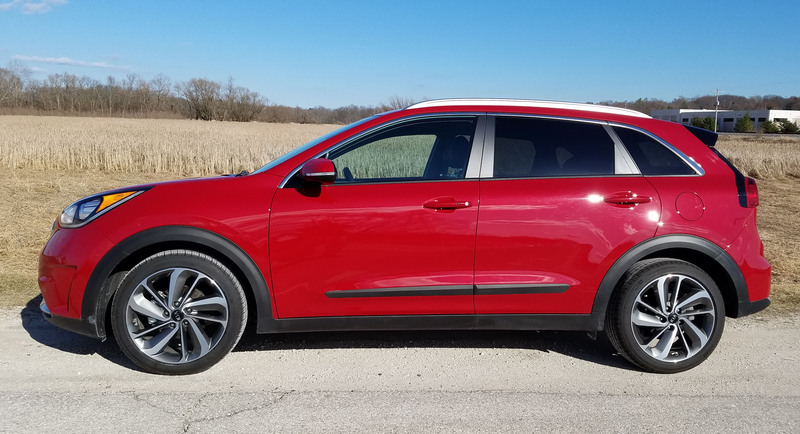 It has a taller stance like a crossover, but (and this is one of at least two surprises) it is front-wheel drive, and as of now AWD is not an option. Second surprise, from a driving standpoint, this little beauty is a hybrid. That’s right, it has an electric motor to go along with its 1.6-liter 4-cylinder gas-powered engine to create what sounds like a modest 139 horsepower. Don’t let that number fool you. Sure, left in Normal drive mode the acceleration here is (yawn), shall we say, modest. But simply by sliding the 6-speed Sportronic gear lever to the left into Sport mode the Niro jumps to life. Acceleration is quick and quiet as the electric motor propels this honey to normal city cruising speed.